If you had access to a state-of-the-art gym, would you use it every single day? If you’re anything like me, your honest answer is probably not. Sure, I might hop on the ol’ treadmill a few times a week, but with no one urging me, I’m spending the majority of my free time elsewhere. Your dog is the same. It’s a common misconception that giving your dog access to your backyard means he’s getting all the exercise he needs. But dogs require interaction to get moving (and they don’t have the benefit of Instagram challenges). As a pet parent, you are your dog’s main motivator – to get fit and stay healthy. Dogs are supposed to be active. Hunting, herding, protecting – each breed is ingrained with a specific purpose, none of which includes lying on a doggie bed and waiting for you to come home from work. You owe it to your pup to help them reach their innate potential. Obesity also affects joints, ligaments, and tendons – making it even harder to get your dog moving. It’s tempting to shower your furry friend with their favorite treats – they look so darn cute when they gobble them up! But remember, your dog loves walks, too. High-caloric foods and an irregular diet can cause weight gain. Nutrition plays a key role in avoiding obesity. Your veterinarian can work with you to develop the right dietary plan. If you’re taking your dog on daily walks, kudos! You’re off to a great start. But most dogs benefit from daily aerobic exercise as well as a 30-minute walk. Think of aerobic exercise as anything that makes your dog pant. This could be running, swimming, jumping, or dancing (yes, dancing! ), just to name a few. Be aware that puppies and senior dogs have unique needs, so consult your veterinarian before you make any major changes to your dog’s routine. These little cuties often get overlooked in terms of exercise (probably because they look so sweet in your purse!). But they actually have a propensity for obesity. The good news is, toy breeds are super easy to exercise indoors. Any breed with a short or flat nose can have trouble breathing. Keep exercise light, take breaks when needed, and don't exercise outside in hot and humid weather. These guys have a reputation for being energetic. They’ll do well with at least 60 minutes of exercise daily. Sight hounds like Greyhounds and Whippets are sprinters and better suited for short, intense bursts. They probably aren’t your best jogging buddies, but they excel at interval training. Workers by nature, herding dogs are larger and get bored easily. This means they have higher exercise needs and crave more rigorous activity. Exercising twice a day for up to two hours total is beneficial. Do some research about your particular breed, but remember that age, lifestyle, and personality are all factors. Too many people equate dog exercise with dog walking. Yes, walking is a staple of your dog’s fitness regime, but dog exercise can – and should – be varied and fun. Even a classic walk can become more exciting when you experiment with different routes, let your dog lead (on the leash, of course), or incorporate short bursts of interval training. On-leash running, skating, and cycling are excellent ways to exercise outdoors with your dog. But remember to stop when your dog needs to stop – dogs aren’t built for marathons. 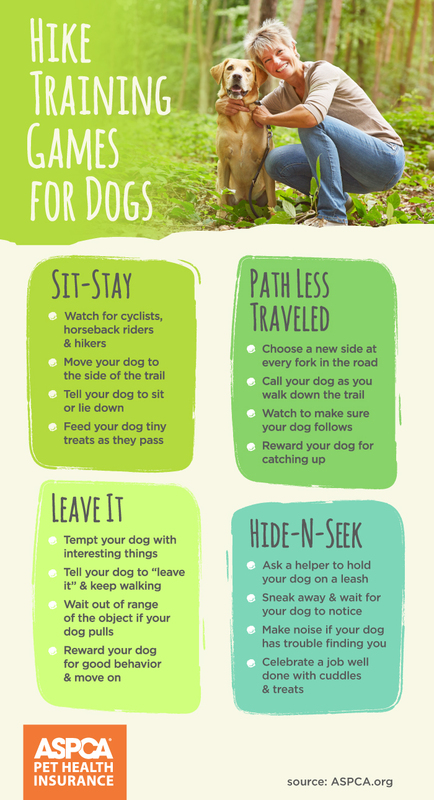 For more information on running with your dog, check out these tips from the American Society for the Prevention of Cruelty to Animals (ASPCA®). If you’re feeling creative, try making jumps with household items like cardboard boxes and broomsticks. An obstacle course provides an awesome mental and physical workout. Just keep jumps at or below your dog’s elbow level as a safety measure. Soccer-style exercise balls and Frisbees are also great for outdoor play, and most dogs love a trip to the dog park for a little social stimulation. 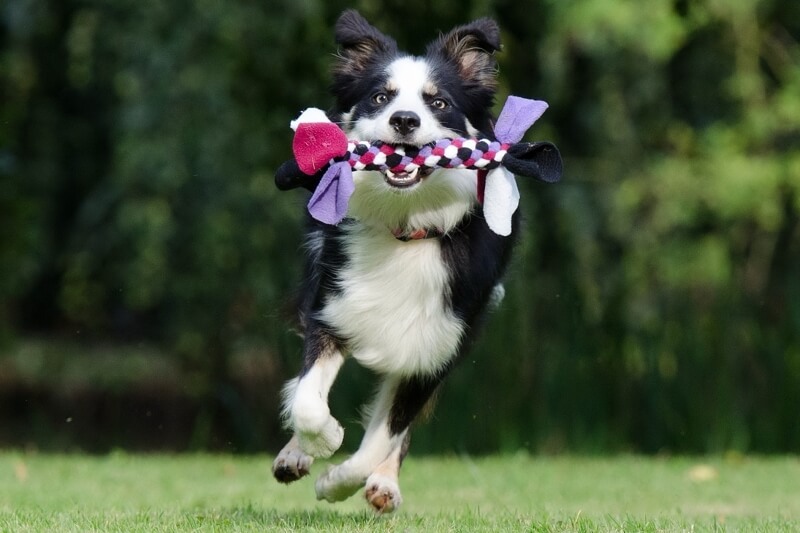 You’ll love watching your pooch and their new buds create their own exercise games. Do you and your dog like to explore the great outdoors? These hike training game may be right up your alley! There are plenty of indoor exercise options for your dog, too. Fetch works just as well in a large room. You can also try blowing bubbles for your pup to chase or creating a food puzzle that lets them do some tracking indoors. Work the stairs, dance, or focus on brain exercise. If you have access, a water therapy pool offers a thorough and safe indoor workout. 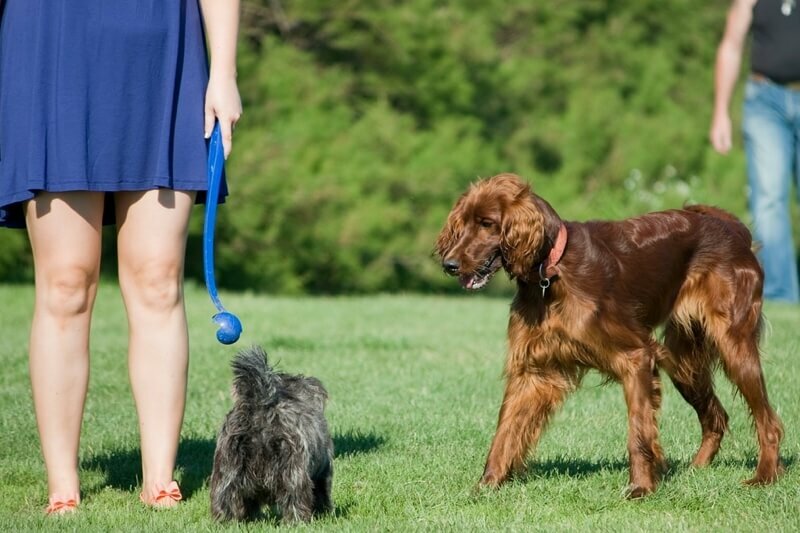 Doggie parks aren’t the only opportunity for your pooch to get some social play in. Research your area to find competitive and group options. 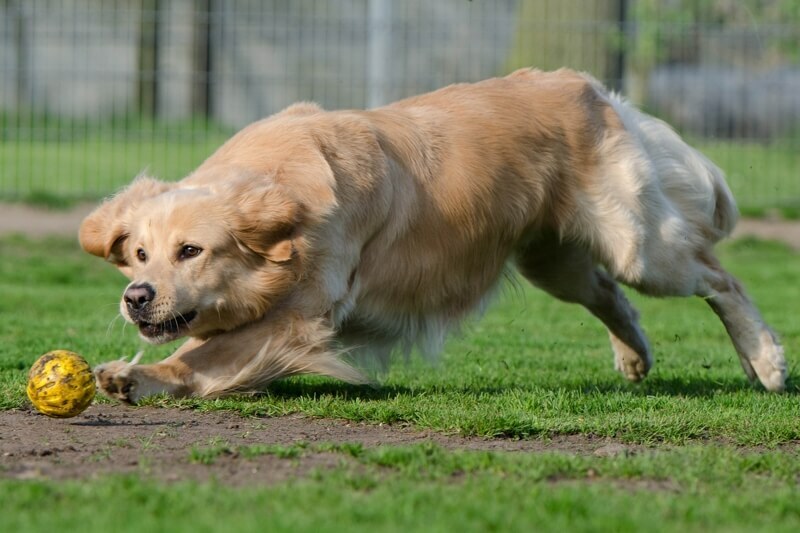 Flyball, agility classes, and tracking are just a few popular group activities for dogs that can typically be done inside or out. When the weather is just plain awful, stay inside! But, for the most part, you can exercise your dog outdoors year-round as long as you follow safety precautions. In fact, the changing seasons present some fun ways to mix up your dog’s exercise routine. A lot of breeds adore snow. 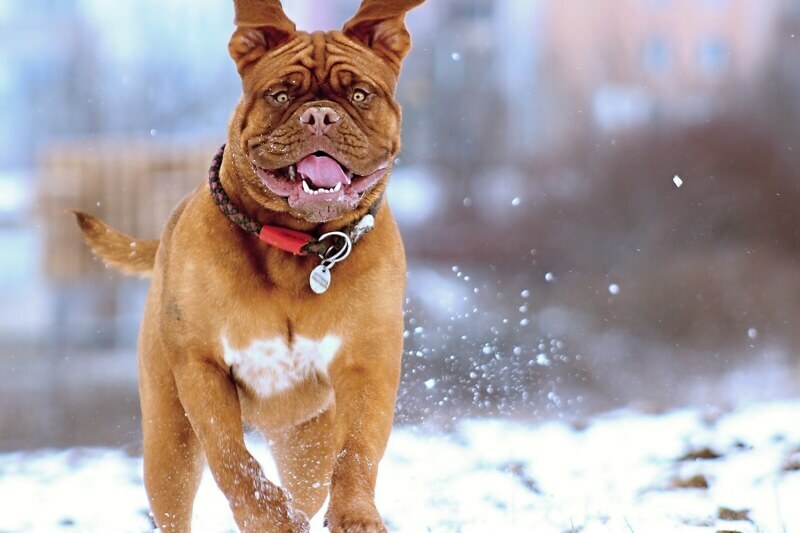 Make winter a special time for your pooch by creating a snow maze or by letting them chase snowballs. If your dog is up for the ultimate winter workout, give skijor a try. It’s a combination of cross-country skiing and dog sledding, so you’ll need a harness for your dog and skis for you. Aside from keeping your eye on weather conditions, check your dog’s feet for icicles and balls of hard snow. 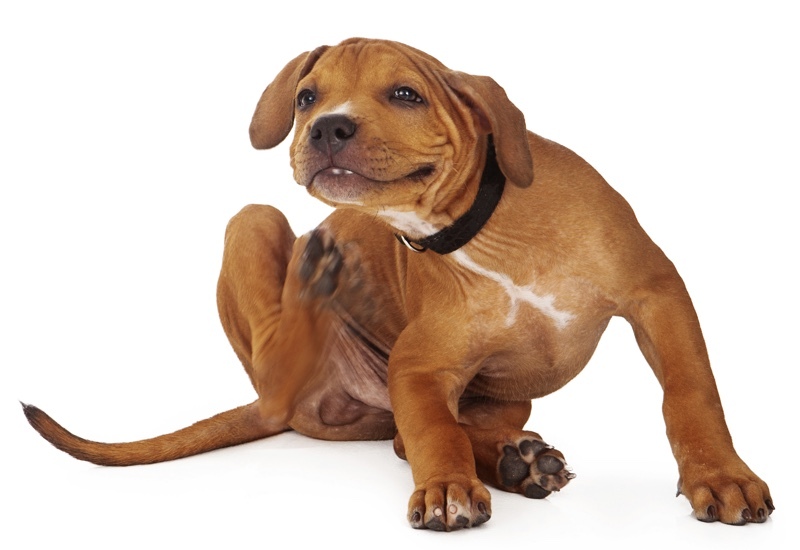 Remember always to wash salt off of paws to avoid dry, cracked pads. When the snow finally melts, no one is more excited to explore the new world than your dog. Spring is the perfect time for some outdoor tracking or dog-led walking that lets your pup exercise their brain as much as their body. 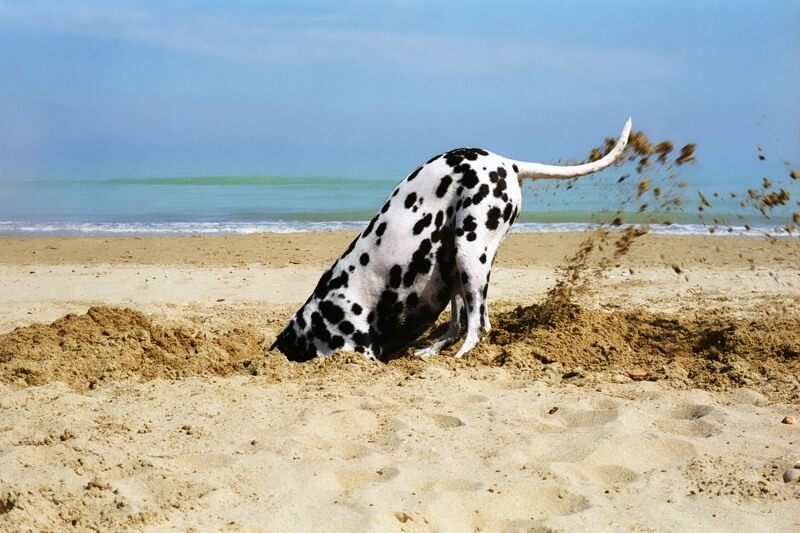 You’re not the only one who wants to head to the beach when the temperature rises! Even breeds that aren’t natural water dogs can learn to swim fairly easily – especially if you start them off as puppies and make them feel safe in the water. Beaches are also great for resistance walks. No matter what form of exercise you choose in the summer months, make sure you provide your pup with enough shade and fresh water. Avoid hot pavement, and remember that shorthaired and white-colored dogs need sunscreen (dog-safe brands, of course!). Fall is the perfect time to spice up a game of fetch by raking leaves and letting your dog chase the ball through the piles. The rustle and commotion will really amp up their energy! Doggie exercise-related injury? We cover that too! In fact, we cover all sorts of owwies big and small. Get a free quote now. You can make classic games like fetch count for you, too, by simply doing squats, lunges, or crunches while you wait for your dog to return with the ball or stick. While fat cats make great cartoon villains, it’s important that we protect our real feline friends from the risks of obesity. Like dogs, cats can become obese when they overeat and under-exercise. 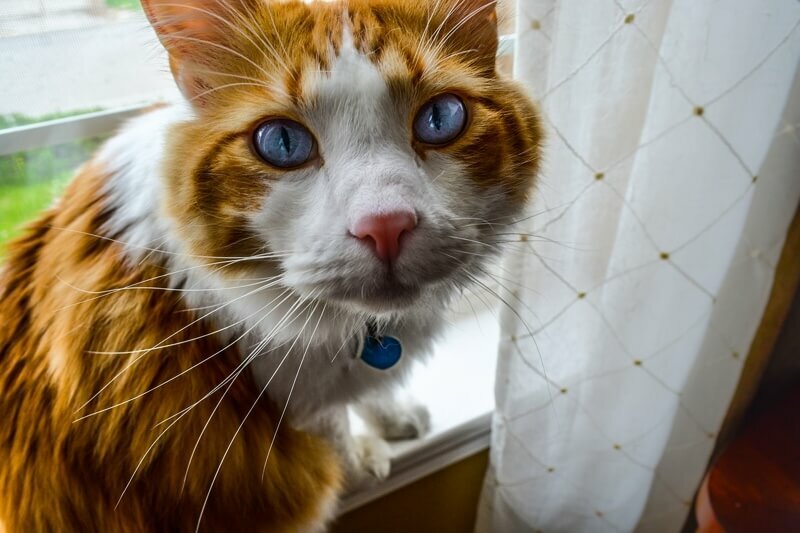 Help keep your cat fit with 10-15 minutes of active play several times a day. Remember that cats are hunters, so try games that incorporate stalking. Let your cat chase a laser pointer or small flashlight beam. 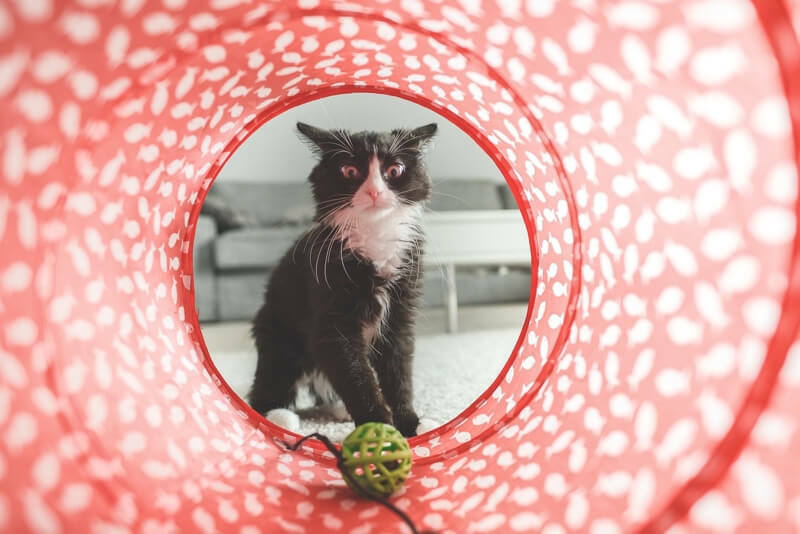 Keep it exciting by making the light mimic the movements of a small insect or bird, and use the laser dot to lead them to a small toy that they can "catch" to prevent the frustration of chasing an image they can't eventually grab. Feather toys and string are also fun but never let your cat play with these toys unsupervised. Want to really get kitty moving? Create an obstacle course with cardboard boxes, build vertical jumps, or invest in an exercise wheel – for cats! Think hamster wheel, but larger and much more likely to end up as an endearing meme. Sign-up to get top stories in your inbox! Don't miss out on expert advice, pet tips, and all sorts of fun. Get a free quote to cover your four-legged family.